Here’s a set of Mother’s Day inspired photos. I made this for my mom and showed it to her this morning. She loved it. 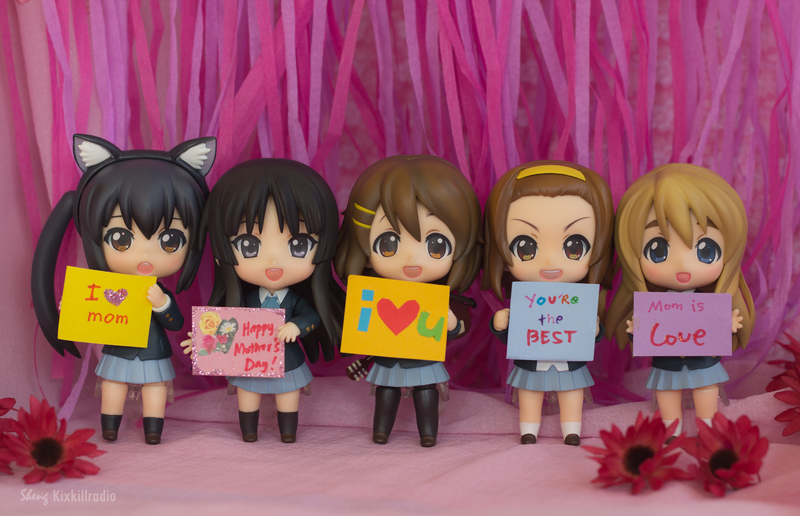 I used my favorite K-On Nendoroids and Cu-Poche Haruka. I want it to appear like these characters are expressing their gratitude and love to their mothers through the cards.